I was first inspired to make my own pasta sauce when I had dinner over my friend's place. I have never felt so good after eating before (even after eating so much). Because it was healthy and clean food with no processed meats or preservatives (even though we had homemade pizza and fried and chips for dinner with homemade pasta sauce for the pizza base, fresh fish just caught, homemade chips from potatoes, and the best batter I have ever tasted which was light and crisp!). My friend even used chicken breasts for the pizza instead of the usual sausages,pepperoni or ham. Since that dinner, I am utterly convinced that eating healthy can be tasty and it makes you feel good! So, I have drastically cut down on any canned food or processed meats since then and also after watching this video! Basically, the fun thing about making your own sauce is that you can mix and match. So basically add whatever you like in your pasta sauce and throw all in a blender! I will probably throw in mushrooms next time! 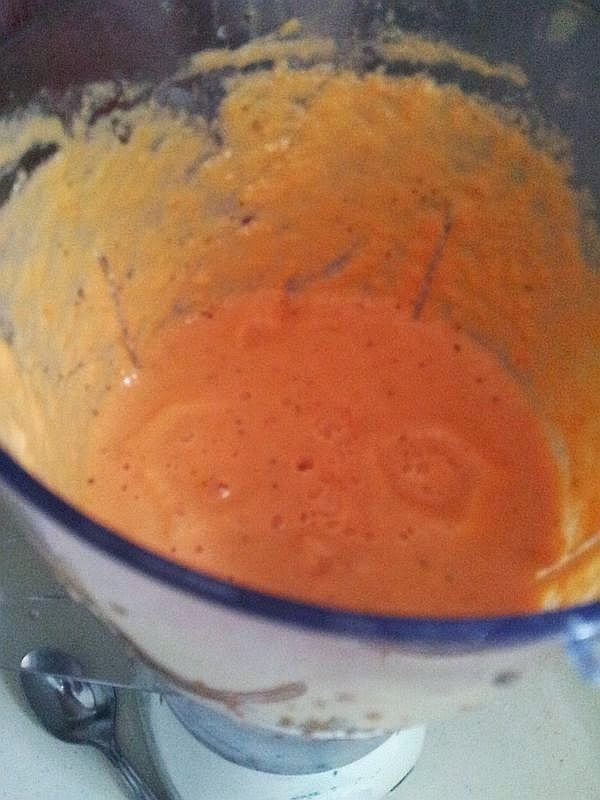 1) Throw the chopped up tomatoes, onions, garlic and a bit of olive oil all in a blender and start blending! 2) After blending, put salt and sugar to taste and dried herbs. Don't worry if it tastes spicy from the onions. Initially, I was also worried as I am sure my children wouldn't like it but I realised that after cooking the sauce, the 'spiciness' from onions just goes away and becomes sweet thus making the sauce so much yummier! So don't be afraid to add the whole onion in! 3) Heat a pot and throw in the sauce to cook it. 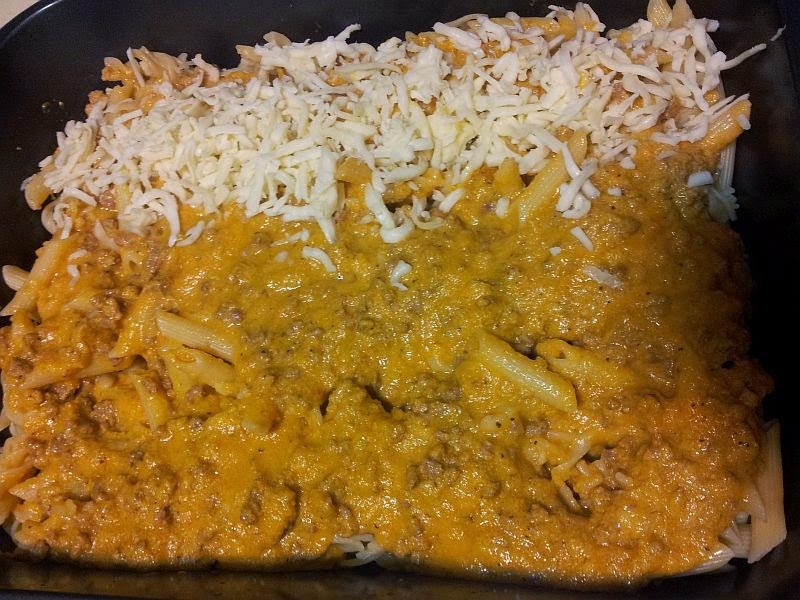 If you want to use this sauce for spaghetti/baked pasta, I added minced beef first. Fry it up a little before throwing in the sauce. Cook until boiling or when you feel the taste and fragrance is out! 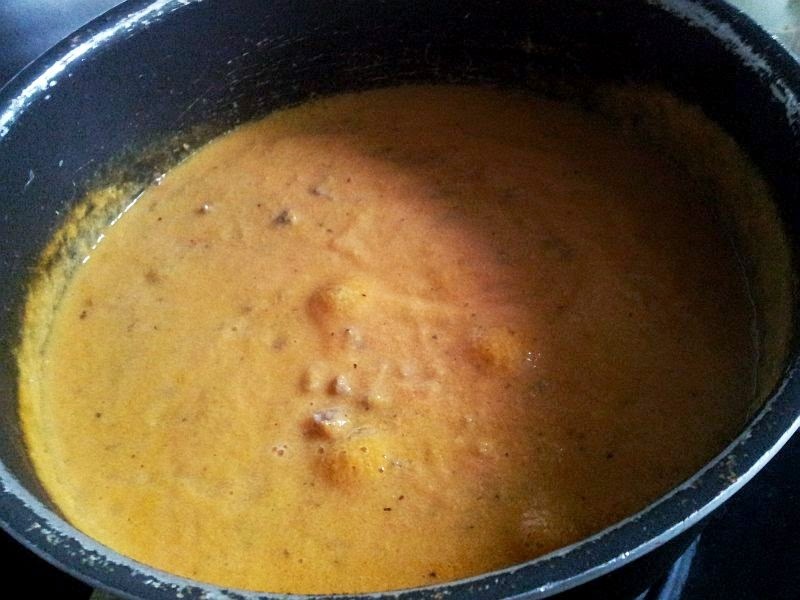 4) You can add flour to thicken the sauce if you like. 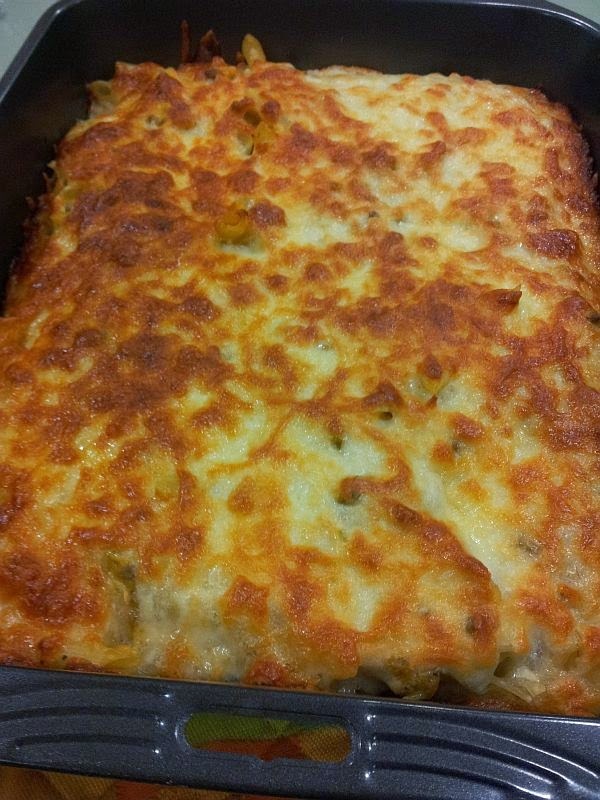 But I feel its not necessary as if you are doing baked pasta, the oven will make the sauce disappear into the pasta. Then, you are DONE! Easy yah? I am sure you can do this! To be honest, the sauce reminds me of the escargot herb garlic butter which I SOOO missed! That's probably why I am in love with this sauce. As you can see the colour is not those dark red ones you find in the cans or bottles sold in supermarkets. That means how much preservatives they must have added to the pasta sauce as if its freshly made, it should be orange in colour. So that really scared me and convinced me that all the more, I should start preparing it fresh! 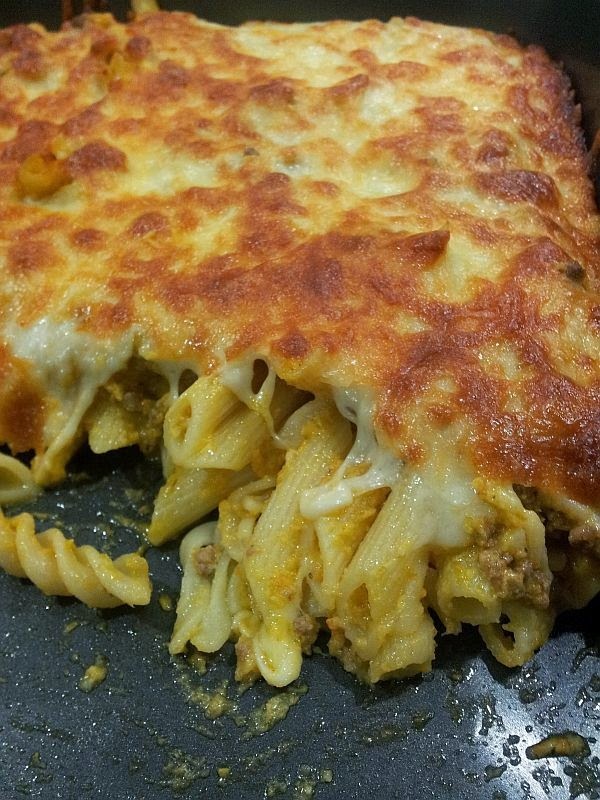 I used the sauce for baked pasta as me and my children loves melted cheese with the crispy bits at the sides! Started my main blog in 2005 when I was in USA; married to CT;gave birth to Baby Caleb in 2007;and my girl, Danielle in 2008;quit my 10-yr teaching career on 31 July 2013 to be a stay-at-home mum ;living life to the fullest and doing my best in everything I do for God's glory!